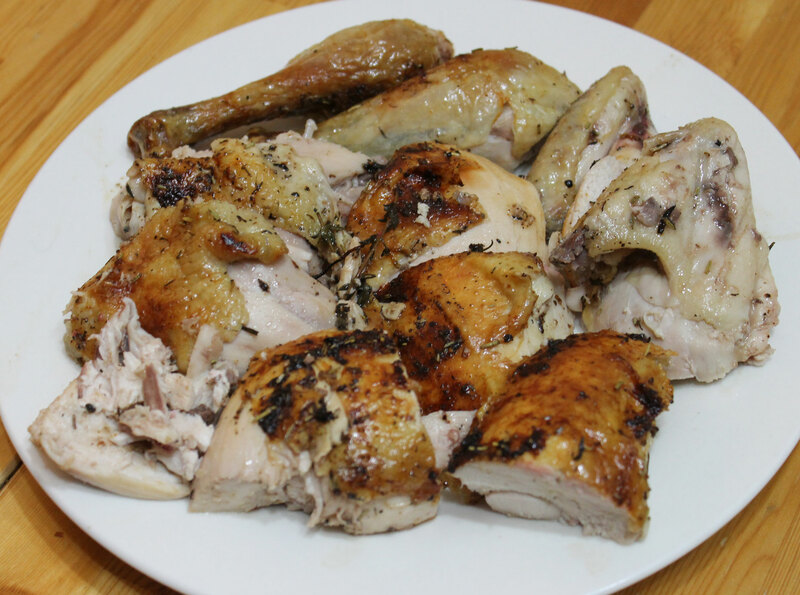 I roasted 2 small chickens (both around 3lb each) for dinner (actually, only one was used for dinner, the other was saved for lunch the following day). 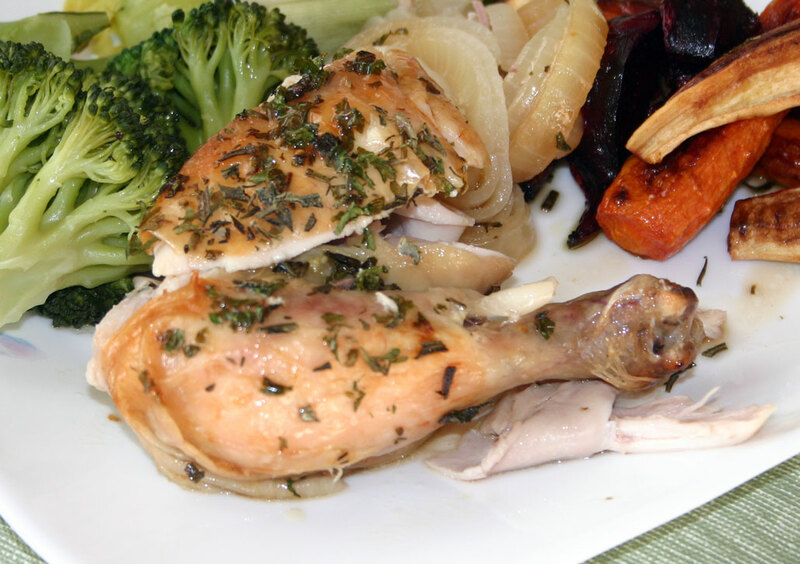 I don’t mess with my roast chicken too much, I like to keep it simple, so that you can appreciate the chicken flavour. While it is heating up, mix together the salt and all the dried herbs. 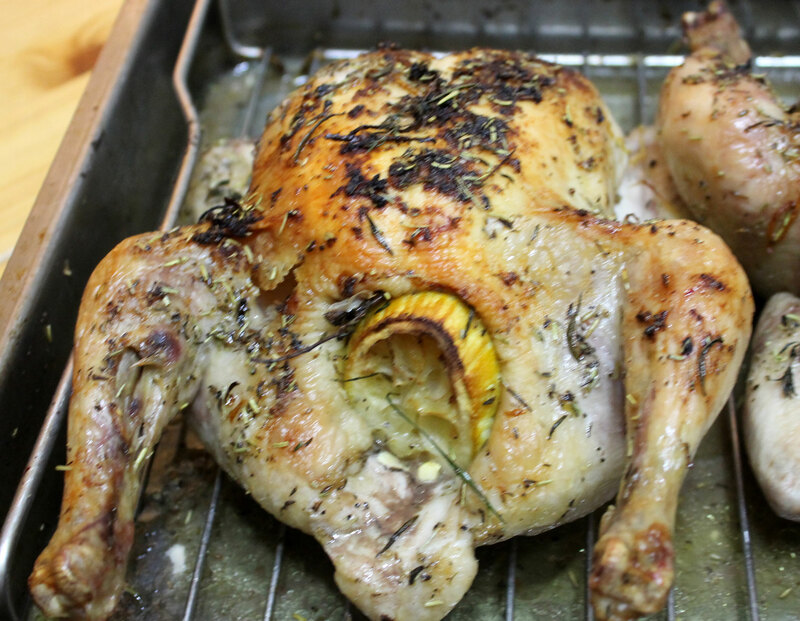 Squeeze the juice of the lemon all over the skin of the chicken, then rub well with the coconut oil. Sprinkle the salt/herb mixture all over the skin, seasoning it well. Do not forget to season the cavity. Now stuff the cavity with the fresh herbs, garlic and the squeezed out lemon rind. 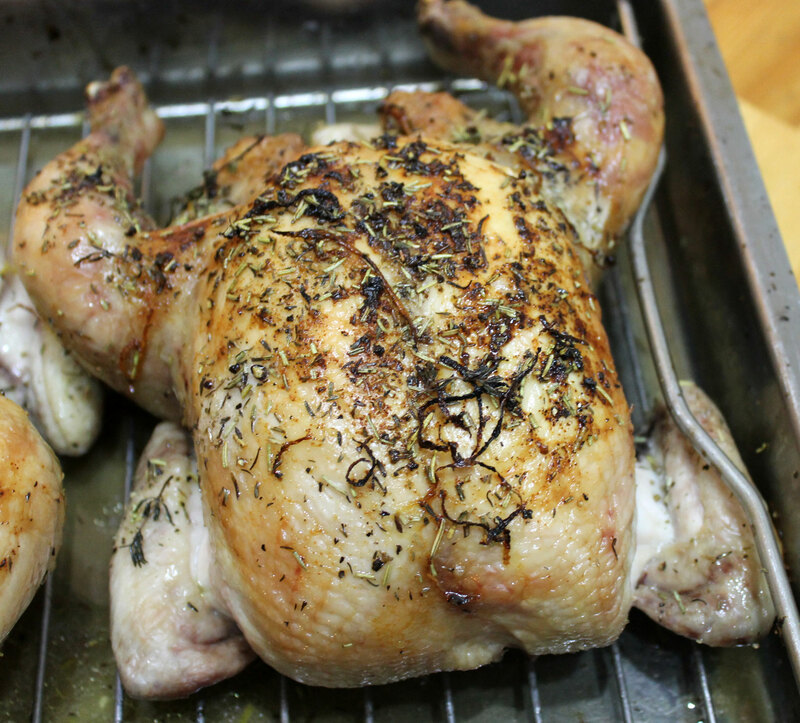 Place the chicken on a rack in a roasting tin and sprinkle the lemon zest over. Roast in the preheated oven for 20 minutes per lb plus an extra 20 minutes until the juices run clear and the internal temperature in the thickest part of the thigh has reached 82°C/180°F when measured with a meat thermometer. 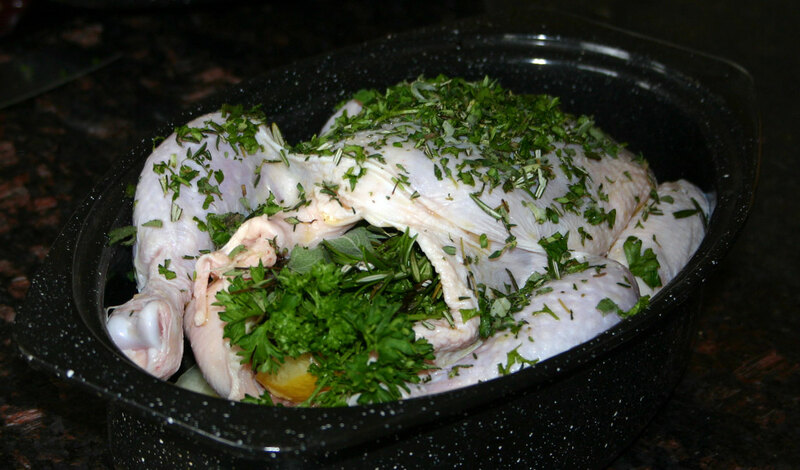 Remove from the oven, cover with a clean cloth and allow to rest for 30 minutes before carving into portions. I like to take the wings off, the legs off (which I then separate into a thigh and a drumstick, and then remove the breasts whole. I cut each breast into 2 or 3 pieces depending on size. 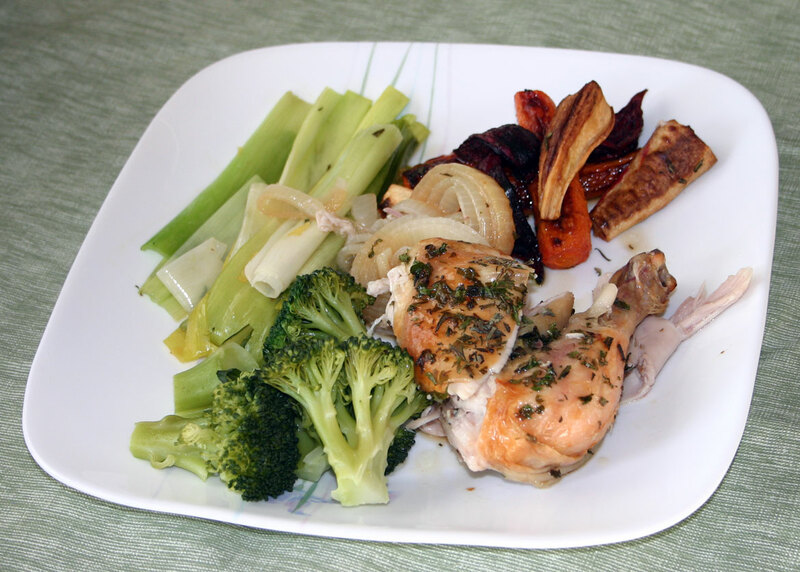 This can be served at once as a roast dinner, or it can be cooled and used for lunch or another meal. 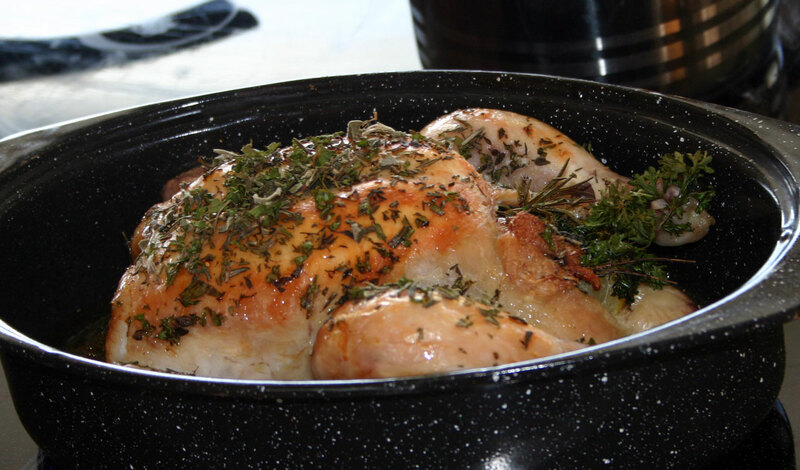 Make sure you save any pan drippings as these will be used to make a simple gravy to serve with your chicken. 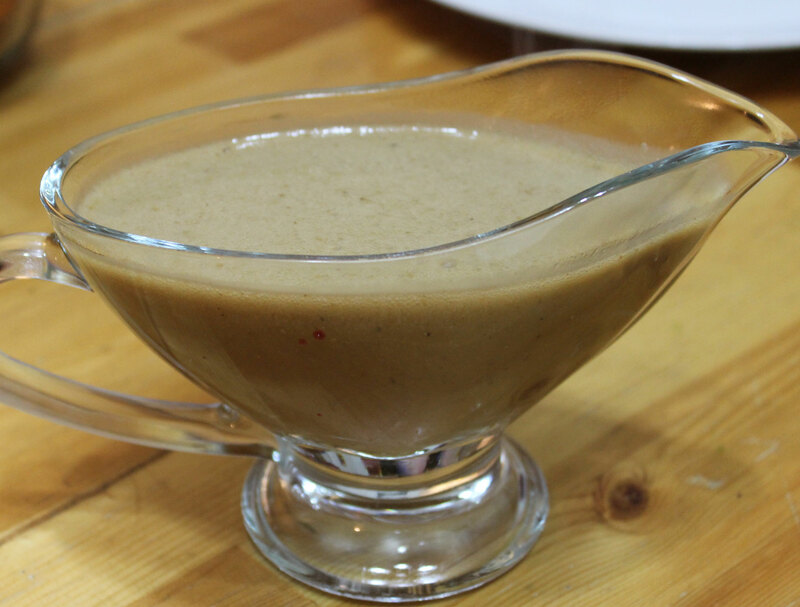 This is the gravy that I almost always make when I am roasting meat whether it is chicken, pork or beef. The process is exactly the same no matter what meat you use. 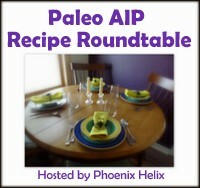 This recipe is not only paleo, it is also AIP friendly. 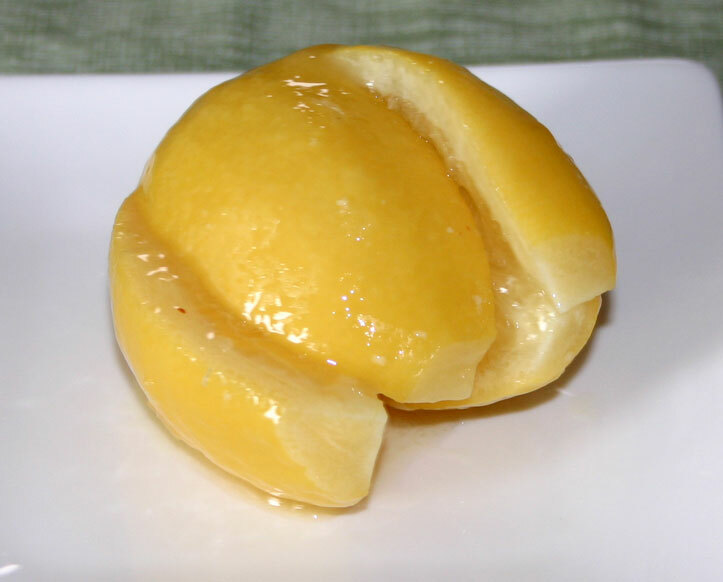 If you are not cooking a roast, and are cooking a steak or organ meat for example, you could de-glaze the pan with bone broth or vegetable cooking water to provide some “meat juices”. In this case, I would simply make the gravy in the skillet to save on washing up! This recipe is a good way to include bone broth into your diet! Melt the coconut oil in a small pan and add the onion and garlic. Cook slowly until the onion is tender and well caramelized. Now add the meat juices and extra liquids as needed. Simmer for 5-10 minutes, then mix the tapioca starch with a little water. Add the starch to the pan and simmer until thickened. Taste, season with salt and serve at once.